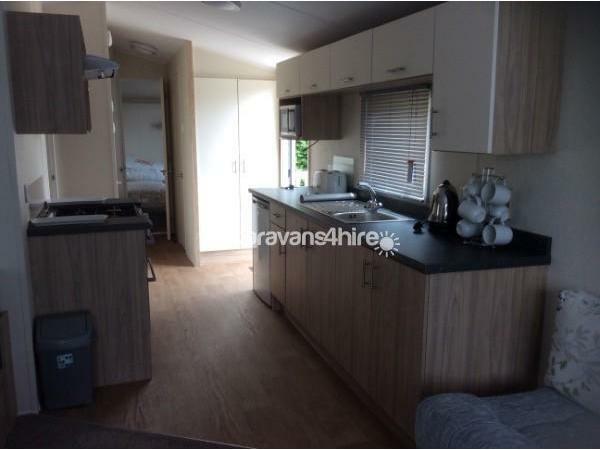 3 bedroom willerby salsa eco available for hire. 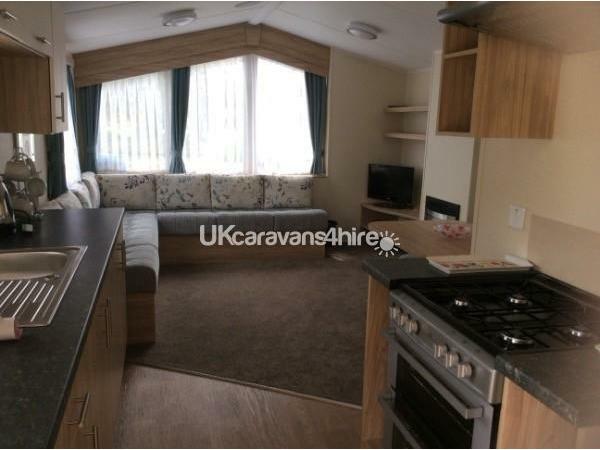 This is an open plan caravan, making it spacious for families to enjoy their relaxing holiday. The Caravan is sited in a very nice sunny position, overlooking the boating lake where plenty of fun can be enjoyed by hiring a swan or nessie pedal boat!! Relax and watch the wildlife around the park with swans, ducks and geese with their new family in tow! Lounge area is open plan with picture window seating for those wonderful views. Large open floor space for young children to play. 22" flat-screen TV & DVD player. 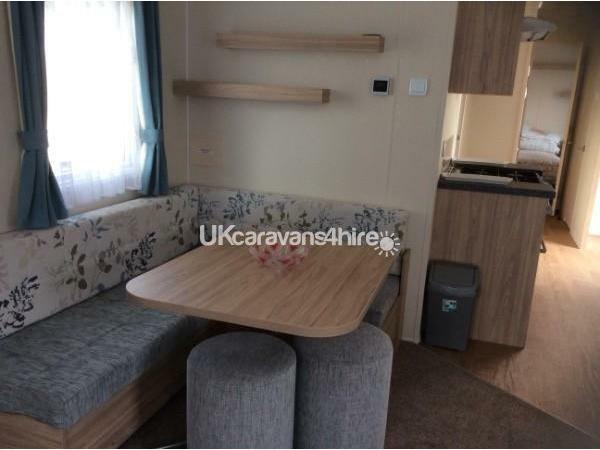 comfortable seating, gas fire heating. Dining area with sizeable table and seating which is ideal when you may wish to dine with your family. Well equiped kitchen area with gas oven, microwave, toaster, fridge/freezer & plenty of cooking utensils. 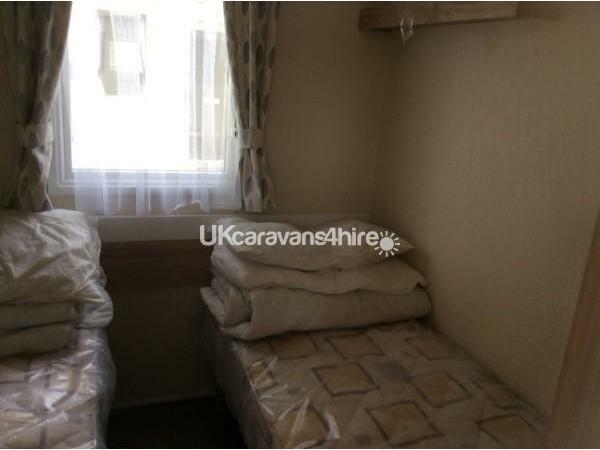 Double bedroom has blown air heating for comfort.plenty of wardrobe space. Nice sized room. Twin bedded room. Lots of storage space. 3rd bedroom is twin bedded, also with plenty of storage space. Shower room is light and airy. Walk in shower enclosure with sliding door. Heater, toilet, handbasin. Storage shelf unit. 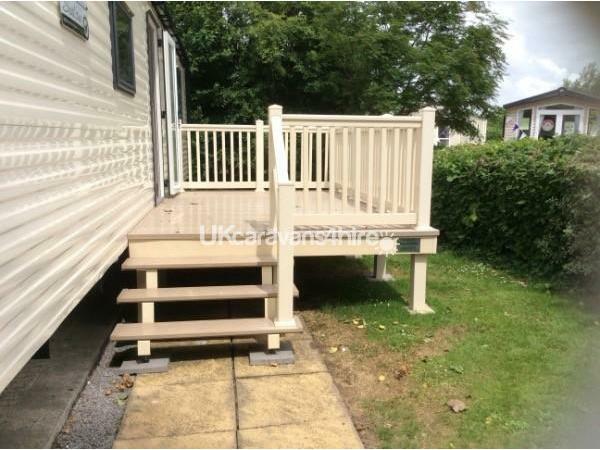 As can be seen from photo's our caravan is set on an end plot with a patio area screened by hedging making it a nice private area to relax in the sun! 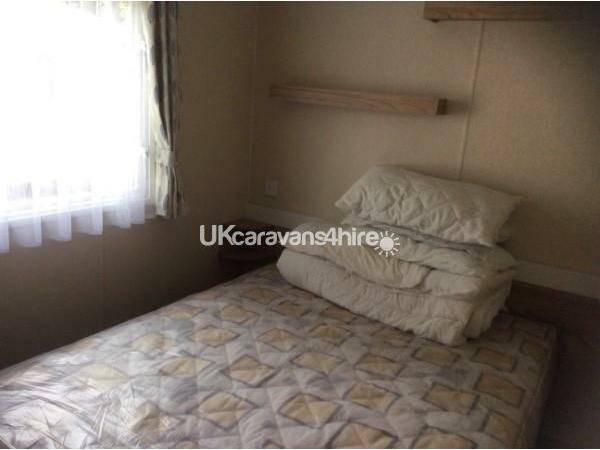 Welcome pack with tea/coffee sachets included In caravan. Weekly stays available, also part weeks starting from 3 nights stay are welcome if available. 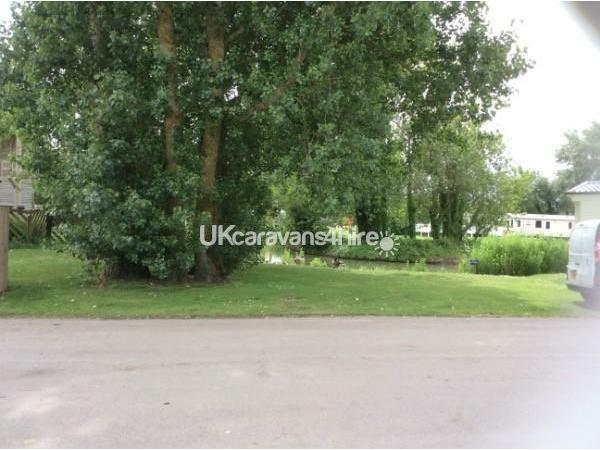 If you require 2 caravans to hire nearby to each other we may be able to help so please ask! To secure your chosen dates we require a £50 non refundable deposit. Full balance is due 3 weeks before holiday. 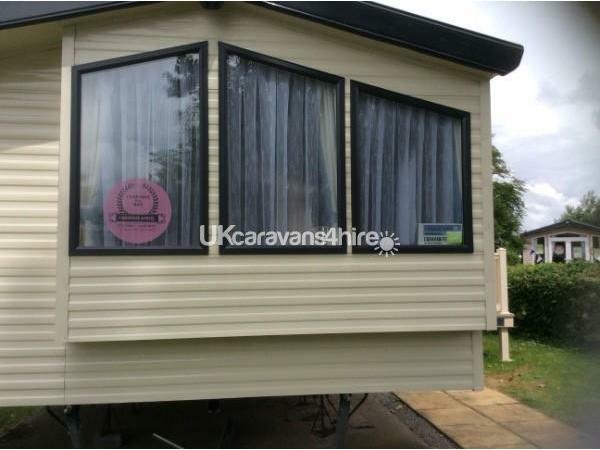 We also ask a security deposit of £50 for care and respect of our caravan. This is refundable within one week of no damage being found on checking. Caravan will be clean upon your arrival and we ask you leave it this way on departure.